Get Your Modernism Week Tickets Today! The Aluminum Tree Museum Returns! SarasotaMOD Honors Paul Rudolph—Get Your Tickets! How to Renovate a Mid Century House: An Exclusive Event! Mid Century Houses for Rent: Live in a California Eichler! Modernism Week News! We’re Coming to Fall Preview! Hold Everything: You Can Buy a Frank Lloyd Wright House! Do You Know the Basics of a Renovation Budget? The Renovation Guide is Here! You Could Win A New Modern Mailbox—Find Out How! Party Ranch, Pt. 1: The “Best Find Ever” in L.A.
Eichler Eccentrics, Pt. 1: So long, Postwar! Love at First Sight, Pt. 1: Greetings from the Streng Bros.
Ranch Dressing: Florence Knoll or Folly? Shop Jonathan Adler on Amazon? We’re In. Christmas Trees on Amazon? Order Your Fir on Prime! Atomic Ranch Goes to the Pacific Northwest! Does Amazon Home have Midcentury Modern Furniture? Pet-Friendly Midcentury Modern Furniture? We’re In! Interior Design Resurgence: Wallpaper is IN! Attend the First Denver Modernism Week! Tiki Mug Starter Pack: Our Favorite Picks! Join Atomic Ranch at Modernism Week! Is Green the Next Color of the Year? 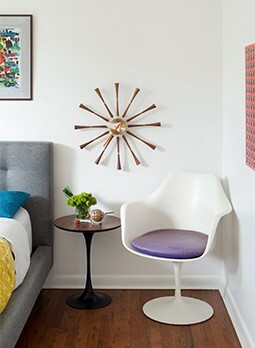 Renovating with Style: See the Revival of a Blogger’s MCM Gem! 2018 Colors of the Year: Are they Midcentury-Friendly? Bring That Midcentury Look Home…For Free! What is the Future of Mid Century Architecture? Let’s Talk. Vintage Trailer Dreams Do Come True! Meet our Mod Week Panelists! Congratulations to Our Instagram Winners! Enter to Win Retro Furniture + More! We Wish you a Retro Christmas!